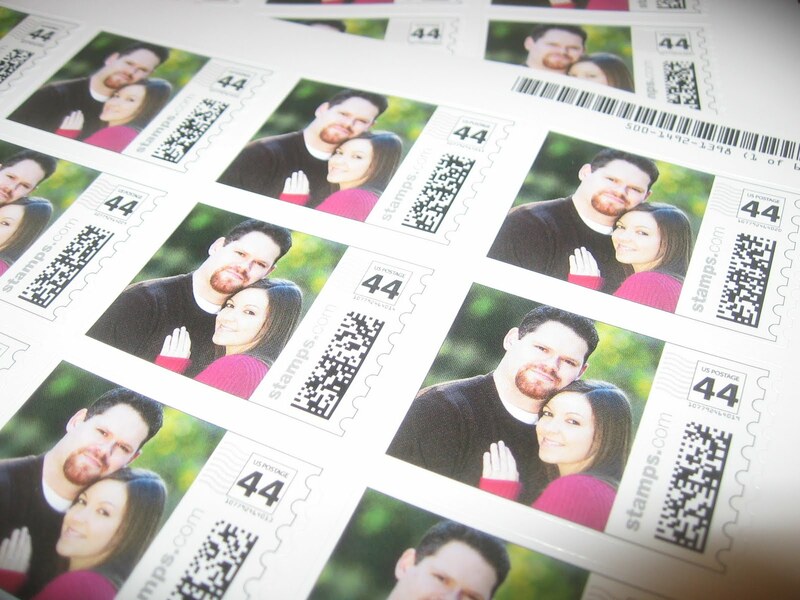 The DIY Bride: Photo Stamps! Finally! A new post! 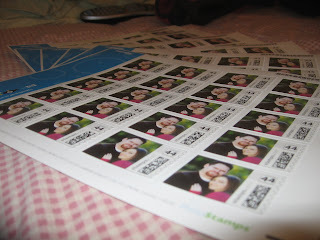 This isn't so much a DIY project since all I really did was just upload a photo, but none the less, I present to you all.. my envelope photo stamps! Snapfish was having this awesome sale on photo stamps a few days ago, and I was able to get these stamps for $.35 cents each (Thanks Ashley!) after all of the discounts came through. Love them!. I'm bummed I missed this! I hope they do it again. Yay! Glad the code was helpful to you. Allison - Are you apart of The Knot? On the Budget Weddings Board, many fellow knotties share special coupon codes with one another. That's how I found this one.